The Heritage brand is one that brings a lot of master set collectors out who piece together full base sets, short prints and inserts. It's also a set that's popular with team collectors thanks to the larger checklist and more affordable entry point. And then there are the player collectors, many of whom try to track as much down as possible of their selected favorites. Four retail exclusives in 2015 Topps Heritage Baseball make that quest a little bit trickier. Below is a look at all four of the product's retail exclusives including checklists, what types of packs they're found in and where you need to go to get them. Where to find them? All retail packs. Available in all retail packs, the 1966 Bazooka minis are tough. Jumbo retail packs have them at 1:108 packs. Combine that rarity with a 25-card checklist and it's easy to see why relatively few are showing up. It's also leading to strong prices for the basic inserts. Where to find them? Target packs. While it may not have seemed important at the time, 1966 was a passing of the torch of sorts for great pitchers. Sandy Koufax called it a career while a young fireballer made his debut with the New York Mets. Both get their own tribute set in 2015 Topps Heritage Baseball that are similar to the Babe Ruth and Jackie Robinson Story sets from 2015 Topps Series 1 Baseball. 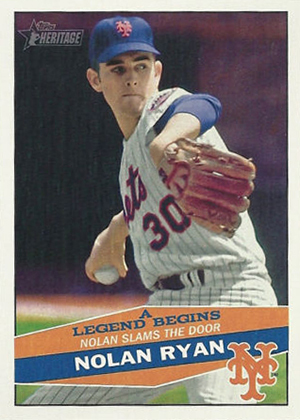 A Legend Begins dedicates all 15 of its cards to Nolan Ryan. Although the name suggests an "early years" kind of focus, it's just referring to 1966 being his major league debut. The set delves into key milestones throughout his career. 2015 Topps Heritage A Legend Begins is exclusive to Target packs. Where to find them? Walmart packs. 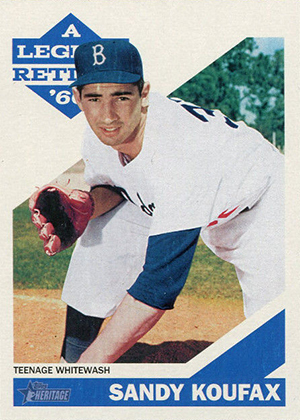 A Legend Retires is the same sort of deal as the Nolan Ryan set, only focusing on Dodgers great, Sandy Koufax. This set recaps key moments in his short but storied career as one of the most dominant pitchers ever. 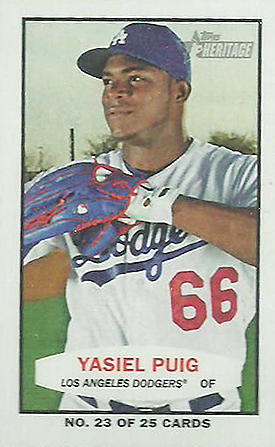 The 15-card set can only be found in 2015 Topps Heritage packs sold at Walmart. Where to find them? Retail hanger boxes. In past years, Heritage retail blister packs have been home to exclusive Black cards. The blister packs are gone and so are the Blacks. Instead, 2015 Topps Heritage has hanger boxes. Included in them are foil cards not available anywhere else. The 2015 Topps Heritage Foil cards parallel the Chrome cards found in hobby packs. The set has a total of 100 cards. Unlike the Chrome cards, Foils are not serial numbered. 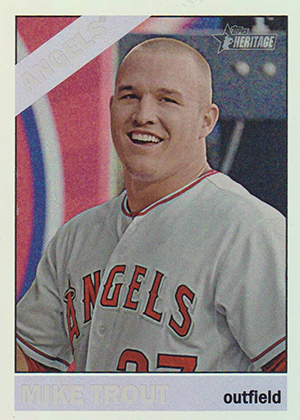 You can get a full checklist on our 2015 Topps Heritage Baseball profile. 2015 Topps Heritage Mini Bazooka #66B-KB Kris Bryant Rc PSA 10 !? 💎 Cubs SSP! 2015 Topps Heritage Bazooka #66B-CC Carlos Correa Rc Astros Rookie SSP ! 2015 Topps Heritage Baseball Bazooka Mini #66B-MS Max Scherzer SSP! PSA 10 !? Thank You,for all the great articles that you share..PS Where would you like me to send any EXPOS that I might have ?